The card for Impact Wrestling's Redemption pay-per-view now has six confirmed matches. 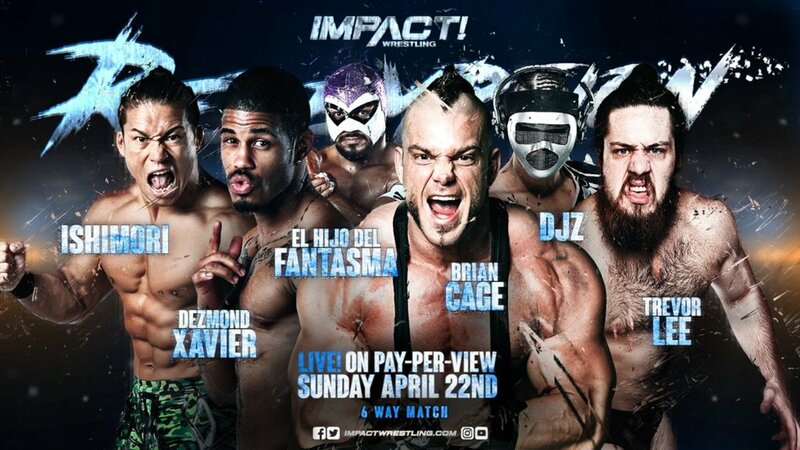 A six-way match was added to the lineup for the PPV today, with it featuring Brian Cage, Taiji Ishimori, DJ Z, El Hijo Del Fantasma, Trevor Lee, and Dezmond Xavier. Ishimori is working the show despite departing Pro Wrestling NOAH last month, and DJ Z is making another appearance for Impact after returning for the first time in over a year at their WrestleMania week event with Lucha Underground. Redemption is the company's first PPV since last November and will take place at the Impact Zone in Orlando, Florida on April 22nd. The main event was originally supposed to be Austin Aries defending his World Championship against Alberto El Patron, but that was changed to Aries vs. Pentagon Jr. vs. Fenix after El Patron was released.